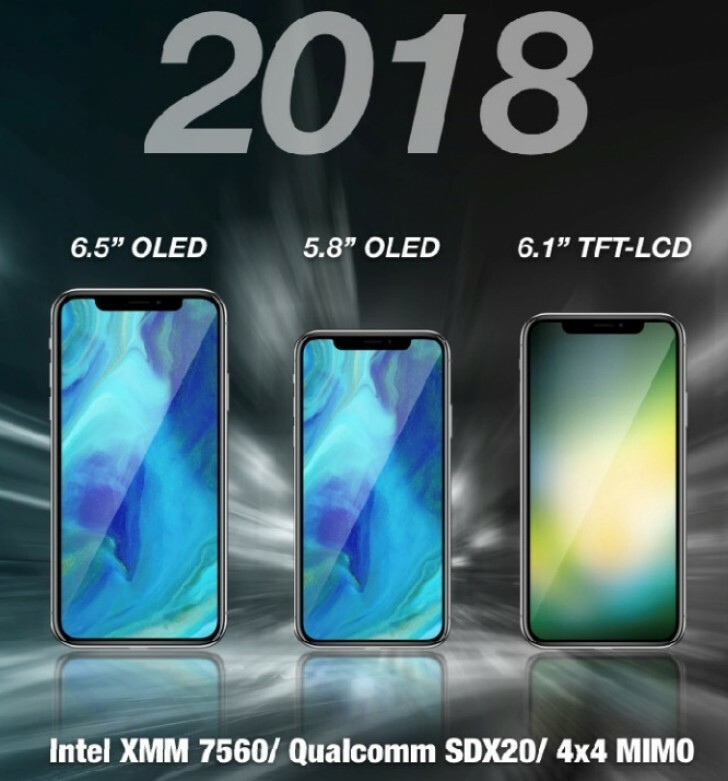 Next-generation Apple iPhone models will feature Intel's XMM 7560 and Qualcomm's Snapdragon X20 modems, with faster LTE transmission speeds, according to KGI Securities analyst Ming-Chi Kuo. Kuo highlighted that both new chips support 4x4 MIMO technology, compared to only 2x2 MIMO in the latest iPhone models, which leads him to believe LTE transmission speeds will increase significantly in 2018 iPhones. In his latest research note, obtained by MacRumors, Kuo predicted Intel will supply Apple with 70 to 80 percent or more of the baseband chips. "New baseband chips from Intel & Qualcomm will significantly boost transmission speed of new 2H18 iPhone models thanks to supporting 4x4 MIMO antenna design: We believe that 2H18 new iPhones will upgrade baseband chips from Intel’s XMM 7480 and Qualcomm's MDM 9655 in 2H17 to Intel’s XMM 7560 and Qualcomm's SDX 20. As both new chips support 4x4 MIMO technology, compared to only 2x2 MIMO in 2H17, we anticipate LTE transmission speeds will increase significantly. We believe Intel will supply Apple with 70-80% or more of required baseband chips. Kuo also predicted that next year's iPhone models will feature dual-SIM dual standby (DSDS), with support for LTE+LTE connections, which allows two SIM cards to be active simultaneously using only one set of chips. "2018 iPhone models won't only offer faster LTE transmission speed: We predict that at least one of the 2018 new iPhone models will support dual-SIM dual standby (DSDS). Unlike existing DSDS phones, which commonly support LTE+3G connections, we believe next-generation iPhone models will support LTE+LTE connections, in a bid to enhance the user experience. It's not entirely clear if the new iPhones would have a dual SIM card slot or if one of the SIM cards would be embedded into the device.